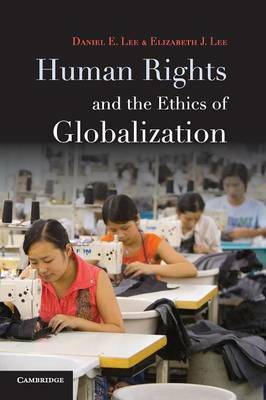 Human Rights and the Ethics of Globalization provides a balanced, thoughtful discussion of the globalization of the economy and the ethical considerations inherent in the many changes it has prompted. The book's introduction maps out the philosophical foundations for constructing an ethic of globalization, taking into account both traditional and contemporary sources. These ideals are applied to four specific test cases: the ethics of investing in China, the case study of the Firestone company's presence in Liberia, free-trade and fair-trade issues pertaining to the coffee trade with Ethiopia and the use of low-wage factories in Mexico to serve the US market. The book concludes with a comprehensive discussion of how to enforce global compliance with basic human rights standards, with particular attention to stopping abuses by multinational corporations through litigation under the Alien Tort Claims Act.